Although it carries a mild nature, the androgenic nature of Primobolan is strong enough to promote virilization symptoms in women. Such effects may include body hair growth, a deepening of the vocal chords and clitoral enlargement. While possible, such effects are strongly tied to individual sensitivity. Most women should be able to avoid virilization if they supplement responsibly. This will mean keeping the total dose and duration of use in a proper range. Please see the Primobolan administration section. Regardless of the dose, if virilization symptoms begin to occur you are strongly encouraged to discontinue use. If use is discontinued at the onset of symptoms, they will fade away rapidly. If the symptoms appear, are ignored and use continues they may very well become irreversible. The side effects of Primobolan can include cholesterol issues, especially HDL cholesterol suppression or reduction. It can also include increases in LDL cholesterol. Primo’s affect on cholesterol will be stronger than testosterone. It will also be stronger than the Nandrolone and Trenbolone hormone. However, it should be much less than most oral steroids. Healthy cholesterol levels can be maintained with this steroid, but it’s important that you give it a little effort. Ensure your diet is cholesterol friendly, high in omega fatty acids and low in saturated fats and simple sugars. Ensuring you implement plenty of cardiovascular activity into your routine is also important. As most will be using Primobolan during a cutting cycle this shouldn’t be too hard to do. Once the use of Primo and all anabolic steroids has come to an end, natural testosterone production will begin again. You will find this is one of the easiest steroids to recover from when it comes to testosterone production. Most men are encouraged to implement a Post Cycle Therapy (PCT) plan once use is discontinued. This will speed the recovery process up. It will, however, not return you to normal on its own. This will still take time. However, a PCT plan will ensure you have enough testosterone for proper bodily function while your levels continue to naturally rise. Those who do not implement a PCT plan, while they may recover it will take far longer. There’s really no reason to forgo the PCT process if you’re going to be off cycle for any decent length of time. An important note on natural testosterone recovery. Natural recovery assumes no prior low testosterone condition existed. It also assumes severe damage was not done to the Hypothalamic-Pituitary-Testicular-Axis (HPTA) through improper steroidal supplementation practices. For most, those who buy Primobolan online will find it’s the only way to obtain the compound. Very few gym suppliers will carry this steroid. Some will carry injectable Methenolone, but even that will be rarer than many other steroids. Large internet based suppliers are your best bet. However, if you buy Primobolan online and you live in the United States you are breaking the law. In the U.S. anabolic steroids are classified as Schedule III controlled substances by way of the Steroid Control Act of 1990. An act that was later reinforced by the Steroid Control Act of 2004. Those who are in violation of this law may face harsh penalties that may include heavy fines and prison. The laws revolving around anabolic steroids can vary greatly from one country to the next, but the U.S. is about as strict as it gets. There are countries that are similar to the U.S. regarding steroid law, but others are far more lenient. Before you buy Primobolan or any anabolic steroid, it is imperative you thoroughly understand the law as it pertains to where you live. Regardless of the law and country in question, most all will frown on an online purchase. 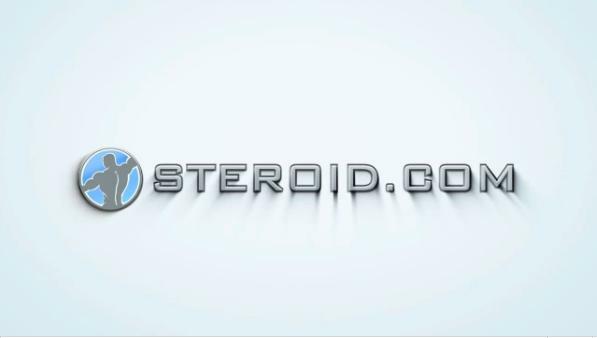 Due to the harsh steroid laws of the United States and many countries around the world, if you are looking for quality anabolics you are encouraged to visit the sponsors here at Steroid.com. The sponsors here at Steroid.com can provide you high quality anabolics without a prescription. More importantly, they can provide you these products without any legal risk. You will not be breaking any law if you make such a purchase. Primobolan is a very worthwhile steroid to consider in a cutting cycle as part of a stack. It is not a foundational steroid for men, but rather an anabolic steroid to add to an already well-planned stack. While it’s not a foundational steroid for men, it can most certainly represent the foundation for women. Regardless, man or woman, while oral Primo has its place most will be far more satisfied with injectable forms of Methenolone.